This is, quite frankly, straight-up blasphemy. 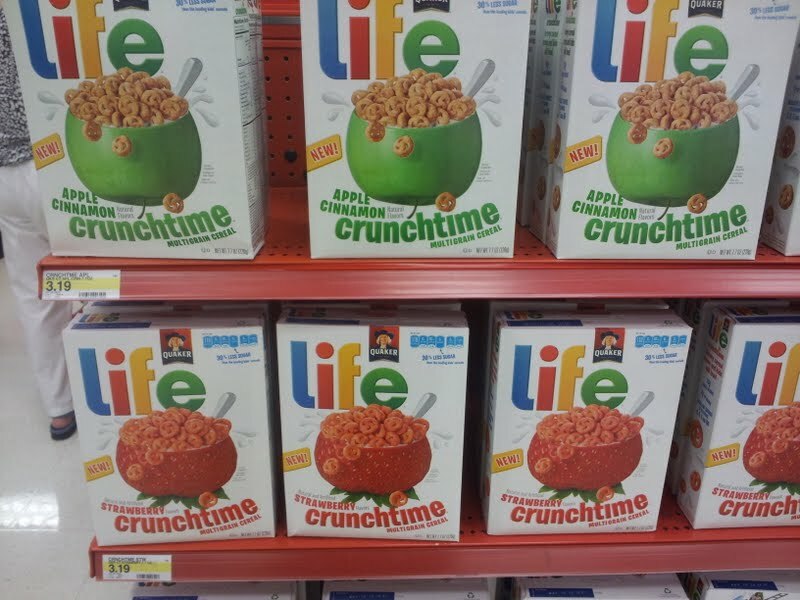 Every red-blooded American knows full well that the proper way to eat Life cereal is to pour it in a bowl, dump some milk in there, wait about the two seconds it takes to let it get soggy, and then eat it, bringing heaps of mushy, vaguely sugar-ish mounds of carbs to your mouth. It's an absolute, incredible delight that should not be overlooked nor taken for granted. What they hope to accomplish with his nonsense is beyond me. 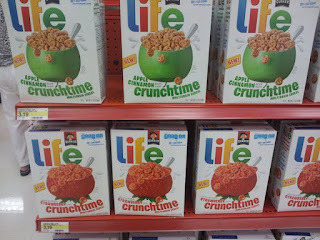 I don't mind this monstrosity being released as a cereal, of course--there are plenty of packaged grains that I don't care for (I'm looking at you, Grape Nuts)--but don't drag Life cereal's brand name into it. Life is reserved for that wonderful, soggy tradition.